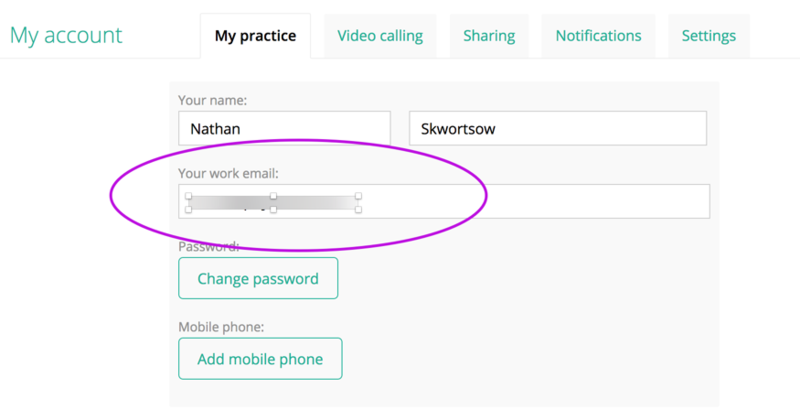 Go to My account > My practice and update your email address. Scroll to the bottom of the page, and press "Save changes". If you receive an email to confirm your new email address, please click the link in the email to confirm the address.